Zdravookhraneniye is opend today in Moscow. It will last 5 day until 7th Dec, 2018. This event scope is from Hospital Equipment and Supplies, Electro medical Equipment, Commodities and consumer goods for surgeries and hospitals, Premises and building technology, Analytical Services, Lab Instruments, Glassware and Lab Chemicals, Laboratory Equipment & Clinical Chemistry, Premises and building technology. 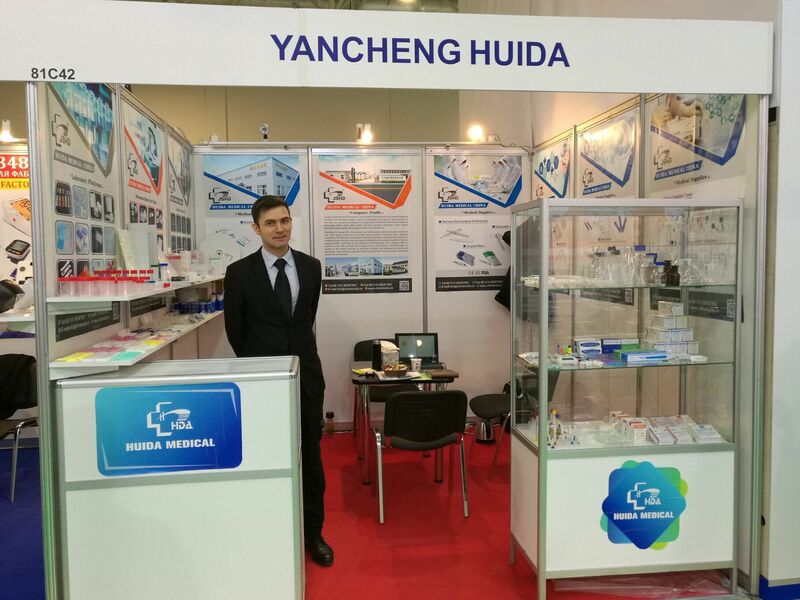 Jiangsu Huida as one of the biggest manufacturer of medical consumables in China, have a good cooperation with many well known companies in Russian, We have registered in Russian and export to Russian over 9 years. Jiangsu Huida attend Zdravookhraneniye every years aims to meet some of our old customers and meet more friends to enlarge our market in Russian. Our Booth No is 81C42, Welcome your visiting! !